“Article” thuirt iad. Cò fon ghrèin, a tha glic, a bhiodh deònach toirt ormsa càil a’ sgrìobhadh sios ach ge be cò iad, saoil dè tha iad ag iarraidh bhon bhàr? Às dèidh dhomh a bhith ann an Glaschu a-nis airson dà bhliadhna, tha e fhathast a’ faireachdainn nach eil mi air a bhith ann ach airson seachdain. Uill, tha fios aig cuid gu bheil mi fhèin agus duine neo dithis eile, gun a bhith gan ainmeachadh, fhàthast a-fuireach mar gun e ‘freshers’ a th’annain. Ach nach sin dìreach pàirt dhen tachartas mhòr ris an canar ‘Beatha Oilthigh’? 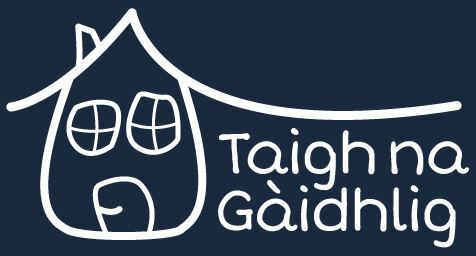 Thàinig mise gu Oilthigh Ghlaschu às dèidh dhomh bliadhna a chur seachad aig Sgoil Chiùil na Gàidhealtachd sa Phlòc – (àite a tha sònraichte math dìreach airson ‘plug’ a dhèanamh!) – airson ceum a thòiseachadh ann am Pharmacology. Thuirt cuid gun robh mi às mo rian a’ falbh dhan Phlòc airson bliadhna làn cheòl a dhèanamh is mi airson saidheans a dhèanamh aig a’ cheann-thall, ach cha dèanainn càil diofraichte a’ coimhead air ais air a-nis. Thug e dhomh an cothrom ceòl a dhèanamh ann an còmhlan agus clàr a dhèanamh agus a bharrachd air sin, an cothrom gluasad air falbh agus a bhith a’ fuireach le feadhainn a tha a-nis nan caraidean gu math dlùth dhomh. Bidh na cuimhneachan sin agam gu bràth. Ach air ais gu Oilthigh Ghlaschu! Nuair a thòisich mi, cha robh fios sam bith agam mun chothroman co-cheangailte ri Gàidhlig idir ach le cuideachadh bho mo charaid, Màiri, cha tug e fada dhomh Roinn na Gàidhlig a lorg! Tha e’ toirt orm gaireachdainn fhathast an oidhche a dh’fhàg mi fhìn ’s na nigheanan an Oidhche Fàilte (a’ chiad thachartas Gàidhlig againn) airson a dhol dhan ‘Hive’ aig 9f nuair a bha sinn ’s a chiad bhliadhna agus leis nach robh sinn ‘fit’ gu leòr airson coinnneachadh ri muinntir na Gàidhlig!! Chan fhaiceadh tu sin a-nis……. uill, tha Taigh-osta na Pàirce faisg gu leòr! Post by Comunn Oiseanach Oilthigh Ghlaschu. Aig deireadh a’ chiad bhliadhna chaidh mi dhan AGM aig a’ Chomunn Oiseanach, agus gun fhios dhomh dè na bha an sàs, thàinig mi a-mach nam bhall air a’ chomataidh aca! Abair bliadhna a bh’ againn gè-ta. Bho fharpais pìobaireachd, deasbad, dìnneir na nollaige agus ceilidh mhòr leis an sgioba iomain am measg tachartasan eile, bha am bliadhna gu math làn! Cha bhiodh càil dheth sin air tachairt mura ’b e Màiri Keir gar stiùireadh! Tha mi gu math taingeil dhi gun do sheall i dhomh na ròpanan, mar a chanas iad ’s a Bheurla, mus do cheumnaich i bhon oilthigh. Cò aig a tha fios…is dòcha gun lorg tu mi fhàthast san GUU an àite Taigh-osta na Pairce! Ach tha eagal orm nach biodh Taigh-osta na Pairce ann leis an airgead a chailleadh iad! Agus a-nise gu Taigh na Gàidhlig. Airson duine sam bith aig nach eil fios, tha gaisgeach na Gàidhlig againne aig Oilthigh Ghlaschu, air a bheil an t-ainm Fiona Dunn. Tha i a’ ruith mun cuairt fad na bliadhna a’ cur air adhart tachartasan dhuinn uile, a’ toirt chothroman do dhaoine a’ Ghàidhlig aca a chleachdadh is gar brosnachadh…… agus mar nach eil sin gu leòr dhut, tha i a’ ruith sgeama caran far an urrainn do dh’oileanaich aig a bheil Gàidhlig fuireach còmhla airson ’s gun urrainn dhaibh an cànan a chleachdadh gu làitheil agus ann an suidheachaidhean nàdarra is sòisealta. Am bliadhna, tha mi-fhèin an sàs san sgeama seo agus tha mi a’ fuireach còmhla ri Katie NicDhòmhnaill agus Caitlin Russell. Tha dithis nighean eile san sgeama cuideachd a tha a’ fuireach ann am flat gu math faisg oirnn. Mholainn an sgeama do dhuine sam bith agus chan eil mi air a bhith ann ach airson beagan sheachdainnean. Feumaidh tu mo chreidsinn gu bheil gu leòr obair chruaidh ann agus nach eil sinn dìreach ag òl a h-uile oidhche – cha mhòr nach eil co-dhiù! Tha sinn gu mòr an sàs ann a bhith a’ brosnachadh na Gàidhlig aig Oilthigh Ghlaschu tro thachartasan, margaidheachd agus iomairtean ach ged gu bheil tòrr obair na lùib, tha thu faighinn a-mach às na tha thu a’ cur a-steach chanainn agus tha tòrr spòrs agad ga dhèanamh aig an aon àm! Mus tàinig mi a Ghlaschu, bha Gàidhlig mar chànan a’ chlas dhòmhsa. Tuigidh mi nach eil sin mar a tha a h-uile duine faireachdainn, ach nuair a tha thu a’ tighinn bho theaghlach aig nach eil Gàidhlig sam bith mar mi fhèin, tha e gu math doirbh Gàidhlig a chleachdadh gu sòisealta agus a bhith cofhurtail a’ dèanamh sin. Tha mi a’ faireachdainn mar gu bheil mi nis a’ cleachdadh a’ chànain barrachd ’s an latha an duigh na bha mi riamh a’ dòl tro fhoghlam Gàidhlig is chan eil mi fiù ’s a’ dèanamh Gàidhlig mar chuspair san Oilthigh! Cha b’ urrainn dhomh creidsinn dìreach cho farsaing ’s a tha saoghal na Gàidhlig ann an Glaschu. ‘S urrainn dhut pub quiz a dhèanamh sa Ghàidhlig anns a’ Phàirc gach mìos, ceòl a chluich ann an seiseanan ciùil ùr a tha an Lòchran air tòiseachadh agus ’s urrainn dhut fiù ’s Zumba a dhèanamh tro mheadhan na Gàidhlig gach seachdain cuideachd. Tha an t-uabhas ann agus tha sin uile a bharrachd air na cothroman a tha san Oilthigh fhèin. Airson duine sam bith tha airson tighinn a Glaschu airson Gàidhlig a dhèanamh neo fiù ’s ma tha thu mar phàirt dhen ’rare species’ mar a tha mi fhèin nam oileanach saidheans le Gàidhlig agus gu mòr an sàs ann an saoghal na Gàidhlig, thig a cheilidh air 3 Garraidhean an Oilthighe! Tha tòrr ann dhut ma tha thu airson a bhith an sàs ann. Agus mura h-eil thu aig Oilthigh Ghlaschu, is dòcha gum faic mi thu ann an Taigh-osta na Pàirce aon oidhche airson dram neo dhà. Gus an uair sin!